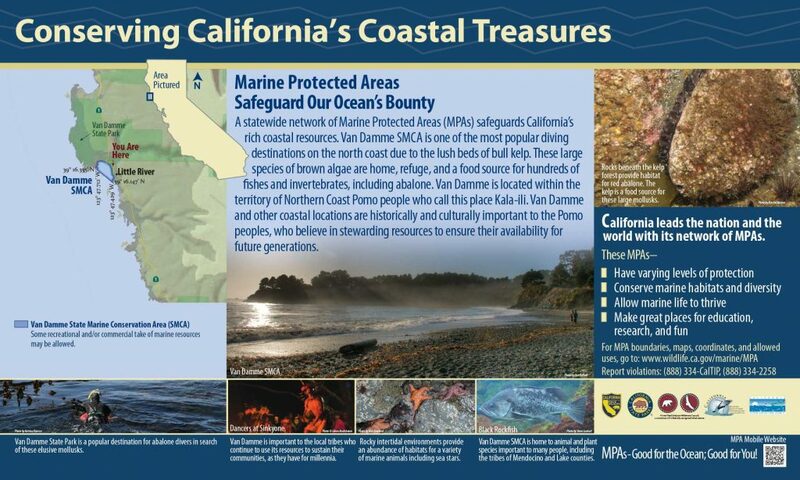 Engaging resources have been created that can be adapted to your region. 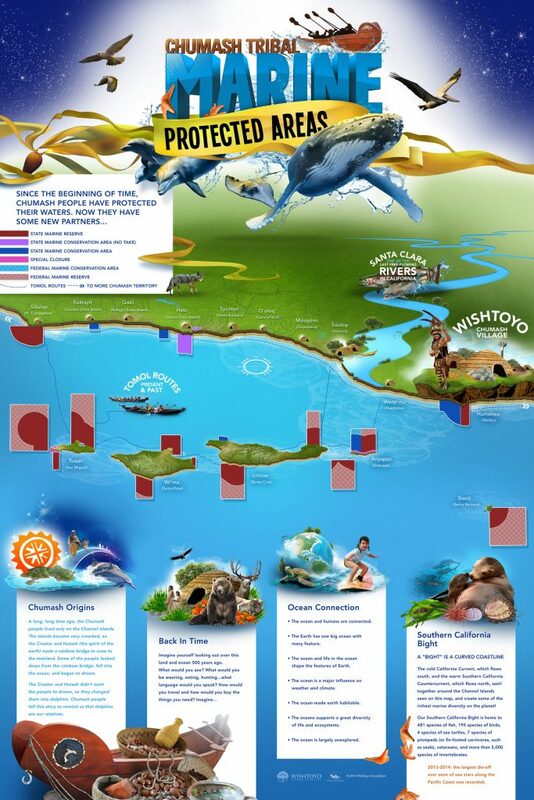 A compilation of many of these are below. 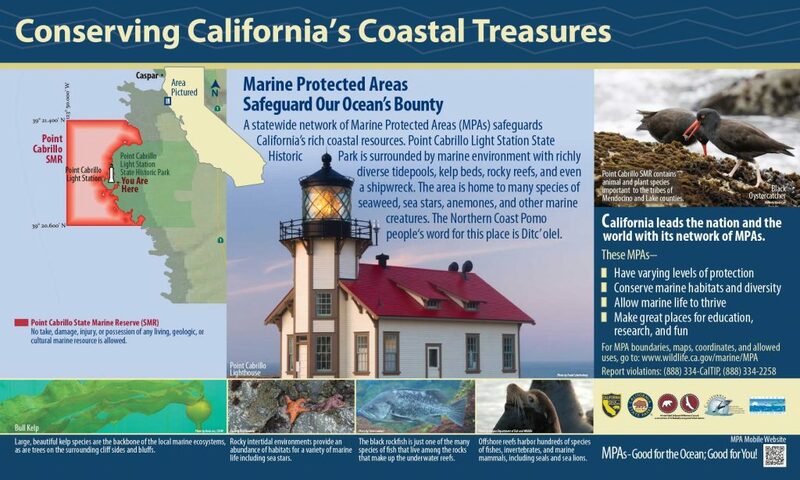 Through the Marine Life Protection Act (MLPA) Initiative, Wishtoyo advocated to best ensure a network of Marine Protected Areas (MPAs) were established that protect the ecological integrity and fisheries of the Southern California Bight (SCB). 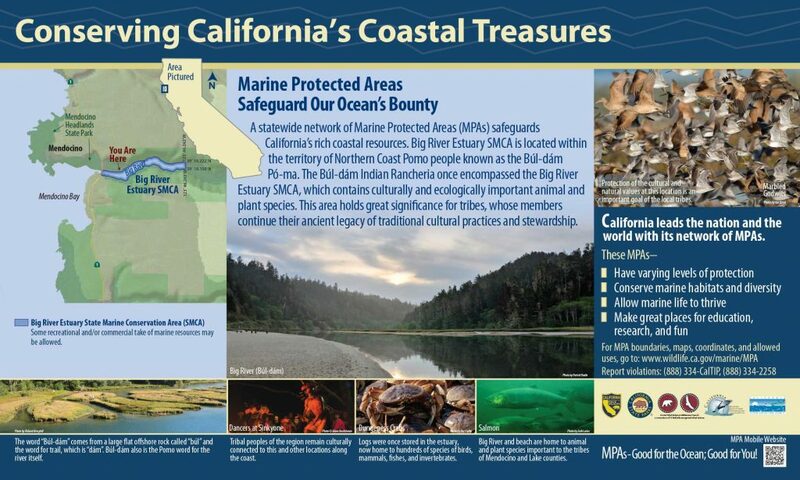 A significant part of this effort was integrating tribal values and stewardship into the MPA designation process. 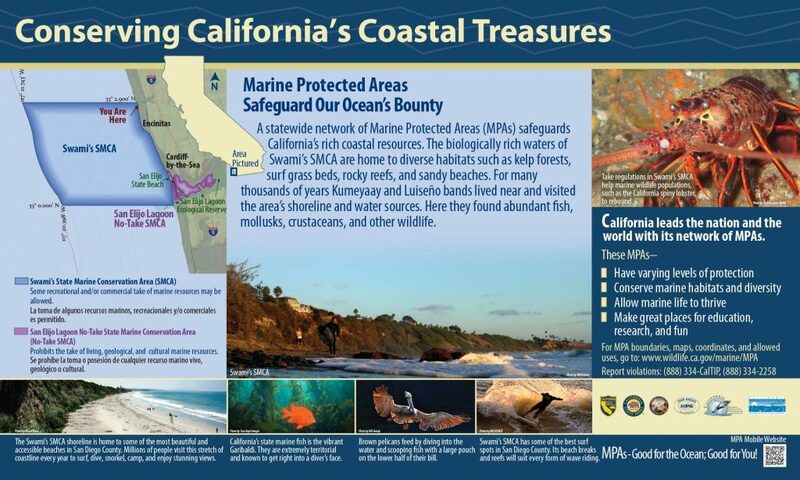 Visit their website to learn more here. 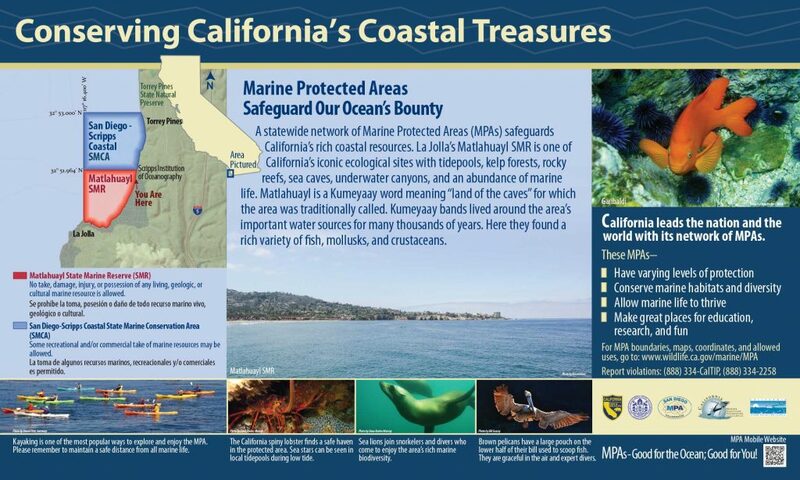 They have created a variety of resources, which you can view below. 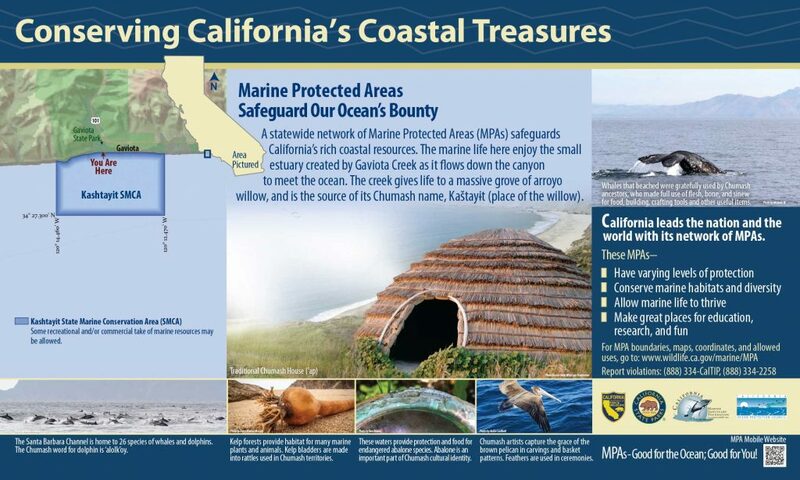 Chumash Tribal Marine Protected Areas Education Program (CTMPA): A cultural and marine science education program to provide students with the opportunity to learn about Chumash maritime history, marine conservation and ecology, MPAs and the importance of relationship with the natural environment. 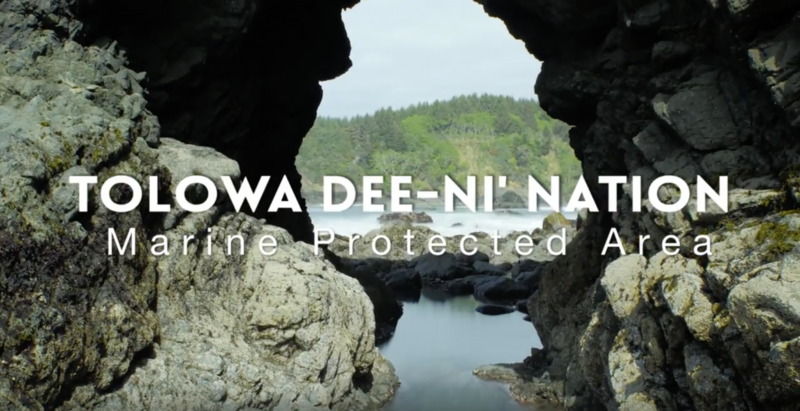 A video focused on the Tolowa Dee-ni’ Nation and their rich history of environmental sustainability and stewardship. 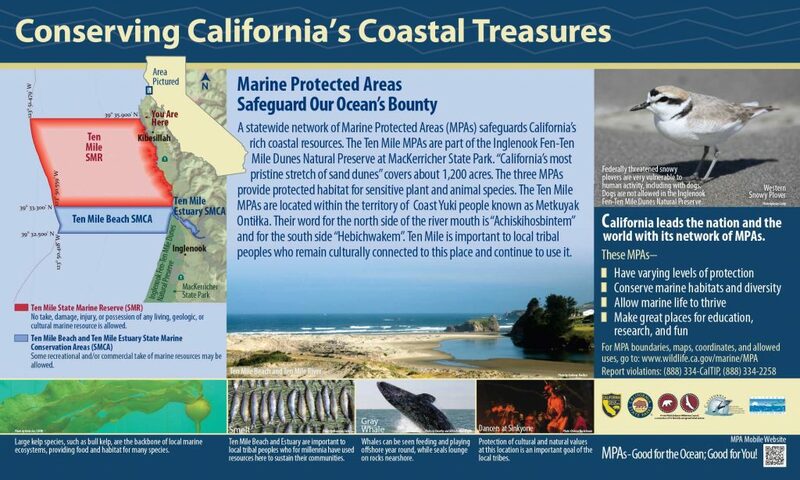 View it on YouTube here. 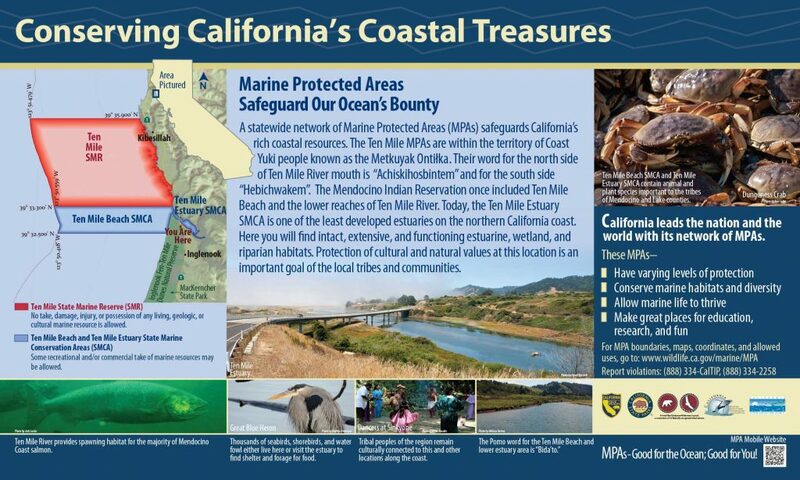 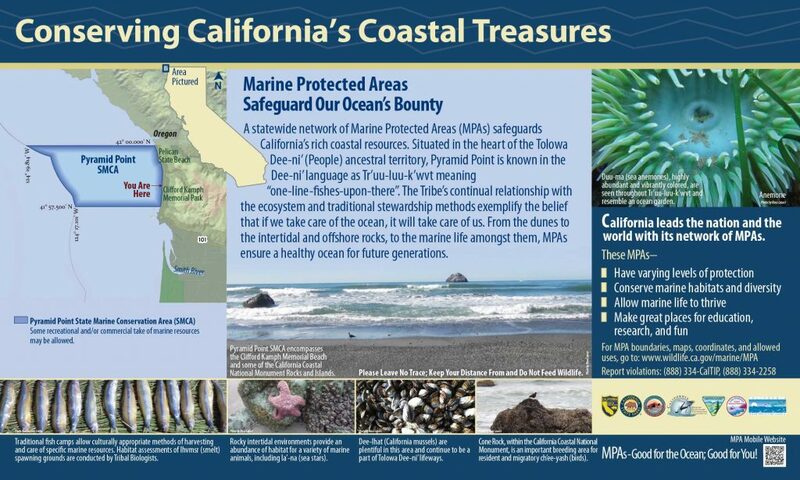 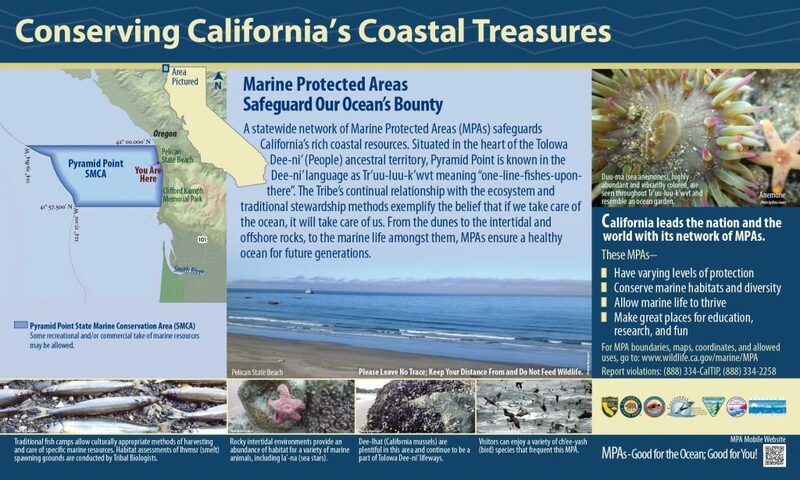 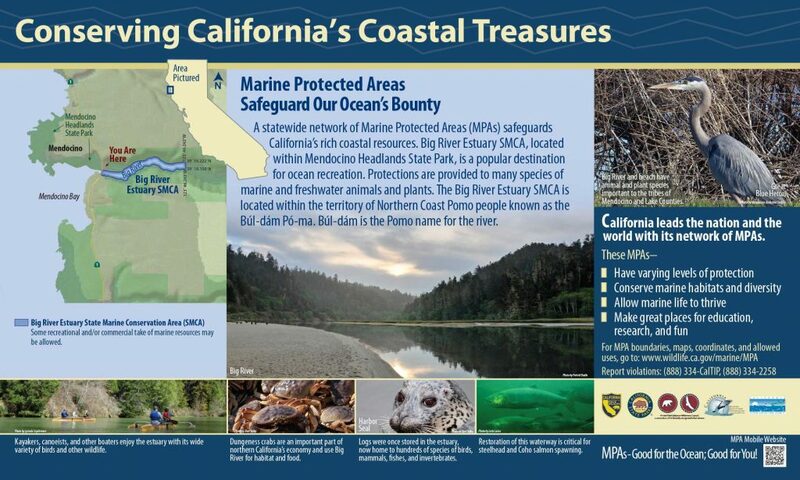 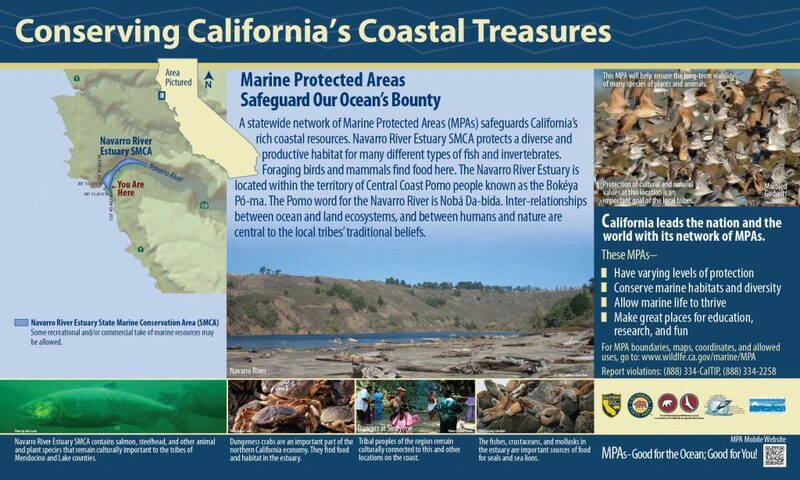 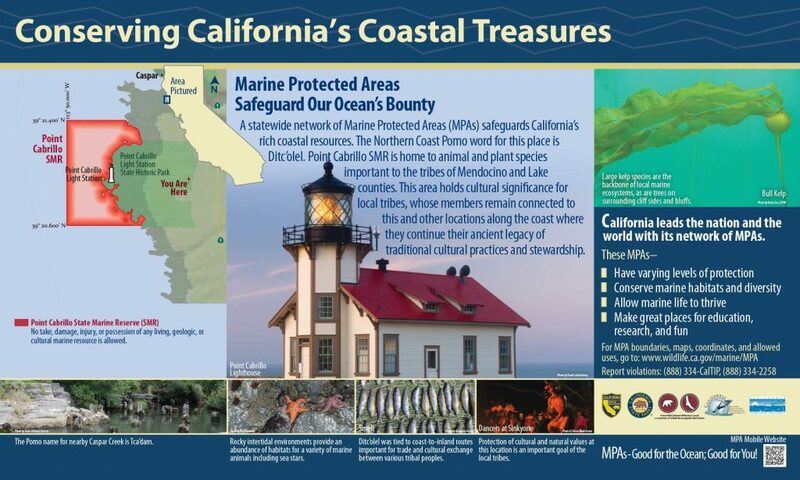 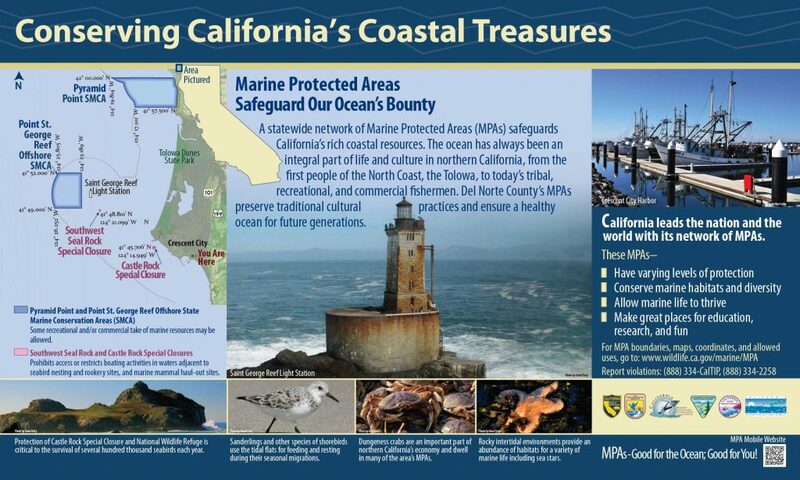 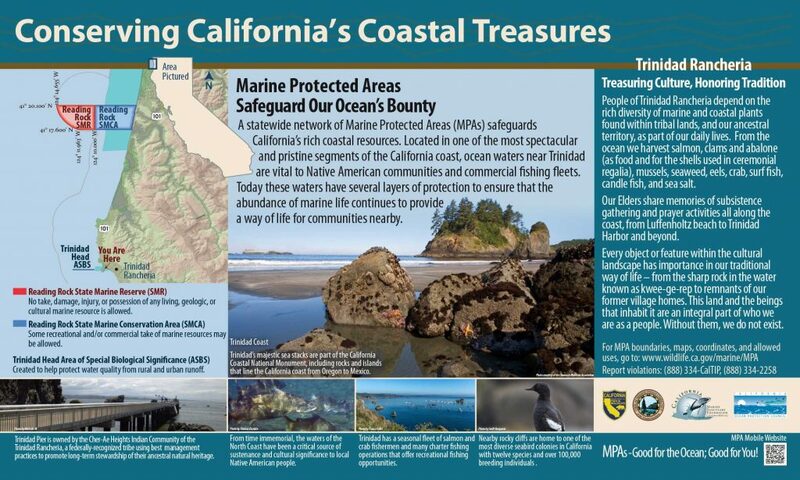 A variety of interpretive MPA signs have been created in conjunction with local tribes and installed at locations across the state of California. 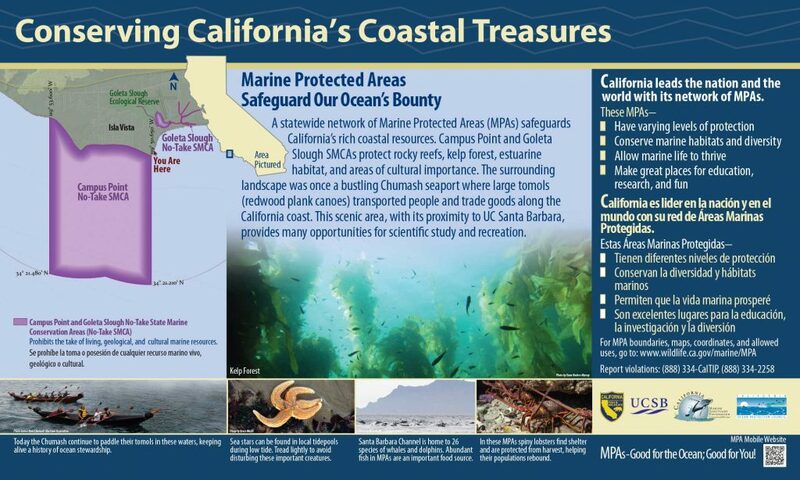 You can view and download the files at the links below.